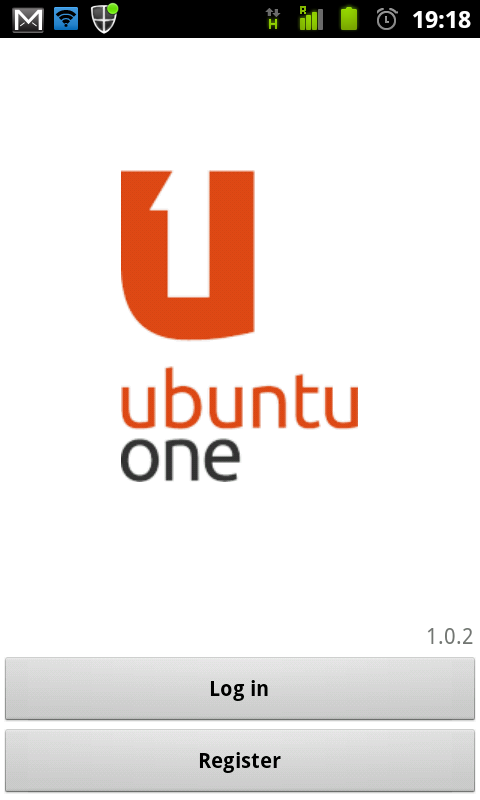 A few days back, Canonical finally launched the official Ubuntu One app for Android. Ubuntu One is a cloud storage feature in Ubuntu – much like Dropbox – which in integrated very well into the OS. Canonical provides 2GB of free storage to anyone who signs up for it. Ubuntu One is also used to keep a backup of mp3s that users buys through the Ubuntu One Music Store. 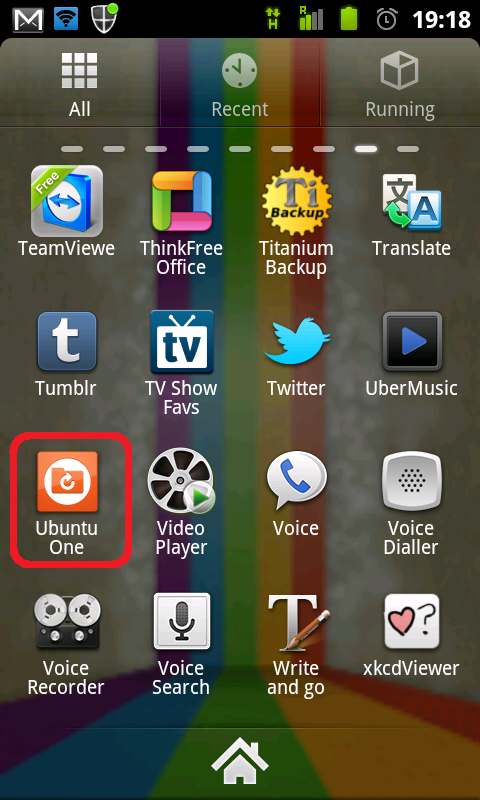 With the Ubuntu One app for Android, users of Ubuntu One can now manage their Ubuntu One cloud from their phone as well. Lets us take a look at the app and what features it offers. The first thing I noticed after installing the app is that it does not use the Ubuntu One logo as the icon. Well, there is nothing wrong with the icon they have used – it is just an interesting observation. 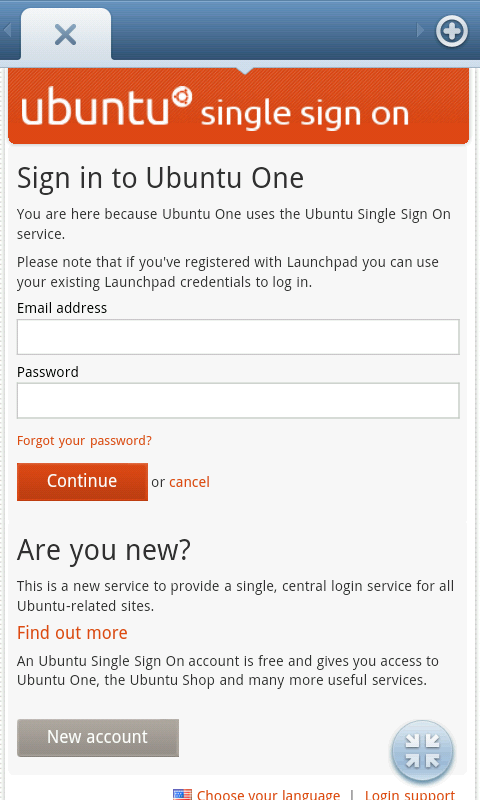 But once you launch the app, you are greeted with the familiar Ubuntu One logo and the options to either Log In or Register. I already have an Ubuntu One account, so I picked log in. Now, this is where it interesting. The login page opens on the web browser - not inside the app. This is not something I expected and if i go to another app at this stage, I lose this page and am back to the previous page. Another problem I faced was that the login seems to work on only the default Android browser. As you can see from the picture, I am not using the default app. After entering my email and password, I get an error. I reset the default browser setting (from the Android settings, not the apps) and tried again using the default Android app – it worked. Once you have logged in, you can give a name for your computer – or rather your phone in this case. 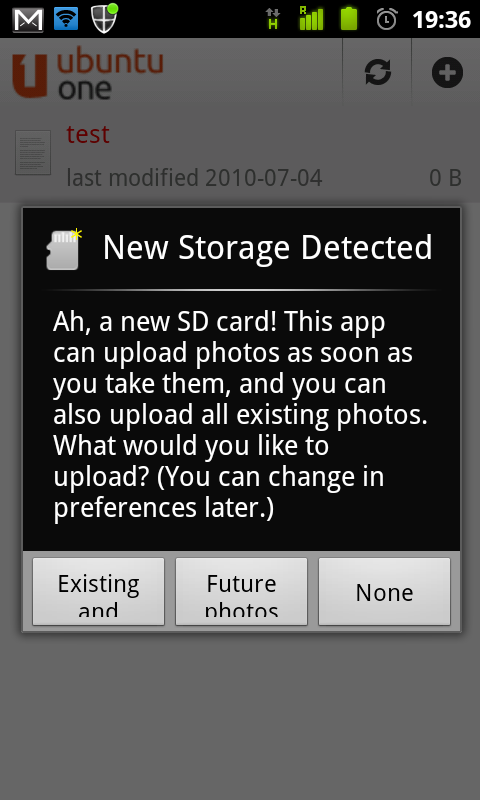 Once the app starts, it will ask you for permission to upload your photos to Ubuntu One. You can either upload upload all your photos, your future photos or none. It is your choice really. I already have Google+ doing the same thing and decided not to do it with Ubuntu One. 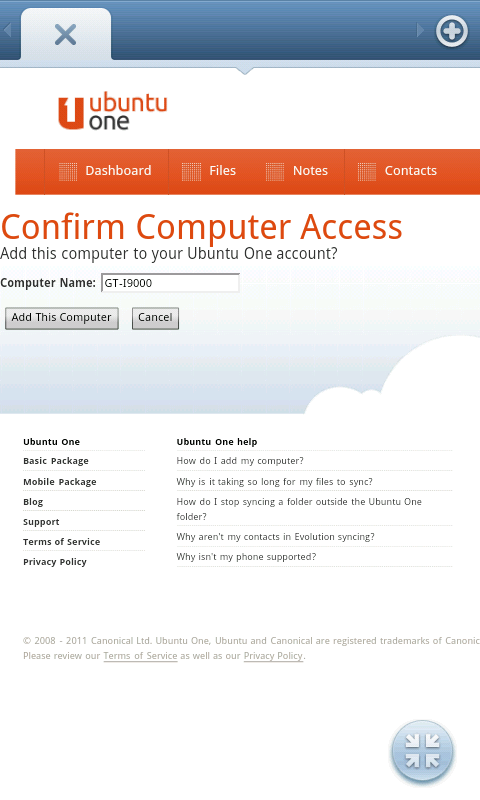 Now that everything has been set up, the is is the user interface of the Ubuntu One app. It is a simple uncomplicated interface where everything makes sense. There is no clutter anywhere. In the screenshot above, notice that Ubuntu One app’s logo shows up at the notification bar where there is an upload going on. One issue I find here is there is no indication of any kind to give you an idea of how much has been uploaded. And of course, to upload something from your phone, you have to tap on the “+” at the top right and pick what you want to upload. Shown above are the setting (on the left) and the advanced options (on the right) for the Ubuntu One app. There is really nothing much here – just the usual options you see in many such apps. So far, everything about the app has been rather mundane – it is what you would expect such an app to do. Well I have saved the best feature for last. You can stream music from your Ubuntu One cloud to your Android phone. To do that, just tap on an mp3 file you have on your Ubuntu One Cloud and the mp3 will be streamed to your default music player. This is not a full fledged streaming app though. There seems to be no way to queue the mp3 files or auto play all files from a folder. Moreover, it seems like the song is streamed at quite a low bitrate. 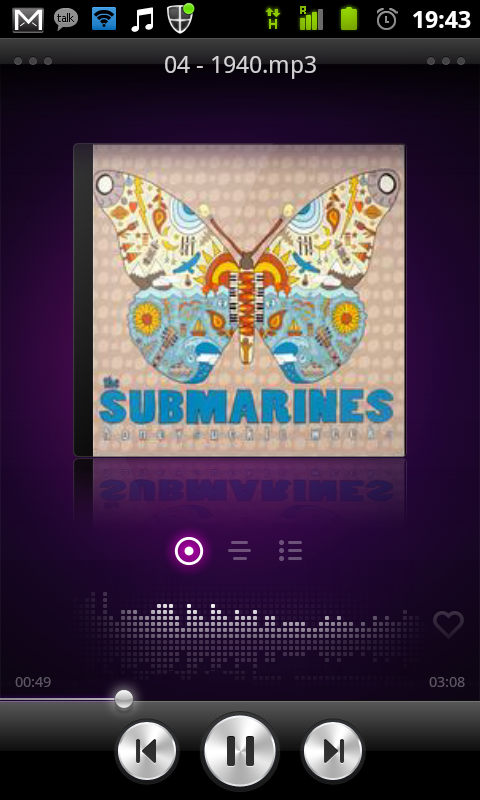 There is a full fledged app to stream music from your Ubuntu One cloud, called Ubuntu One Music. It is however, free for only 30 days. Well this is a free app – so there is no harm in trying it. However, those who use the Ubuntu One service heavily will find this app very useful. It allows them to access and manage everything on their cloud with a simple intuitive interface. If you have never used Ubuntu One before, I would recommend that you try Dropbox instead of this.